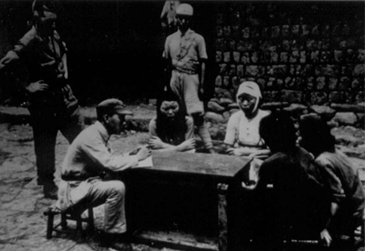 A group of comfort women were questioned by the US soldiers after the Pacific War was over. Japanese military left behind most comfort women after the war. Seen in this photo were South Korean comfort women interned in a US concentration camp in Burma.